Before we move on to the flower demo, lets have a quick look at building forms. 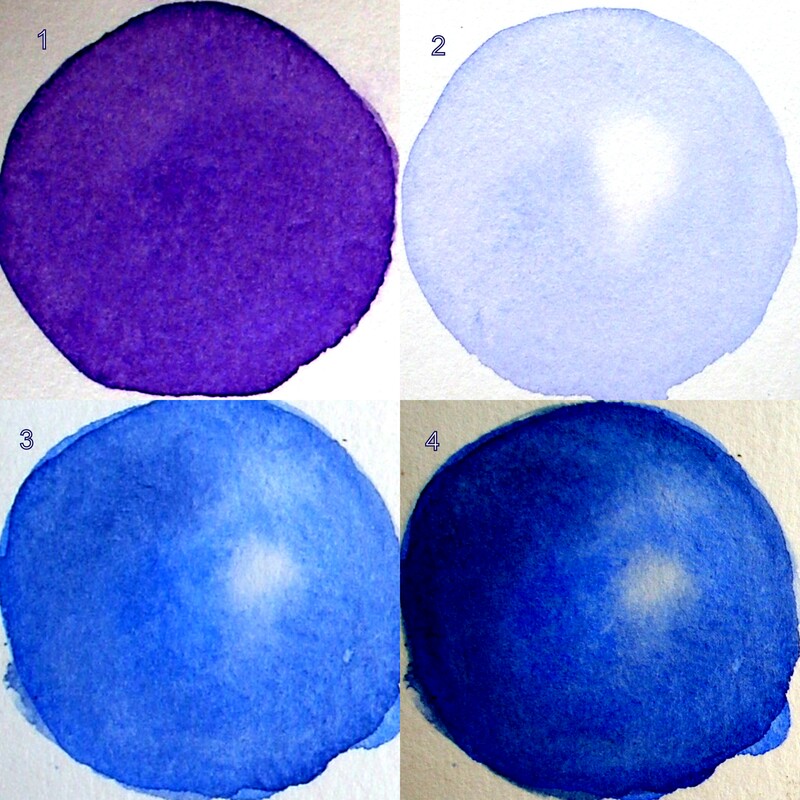 In fig 1 below, the violet circle is painted as in a basic wash, It looks flat because the value is the same through out the circle. In a solid three dimensional object in the outside world, light falling on objects causes them to have a number of values. Value is the degree of lightness or darkness in a color. To build the circle into a 3-d object, we need to add highlights and shadows and atleast some values between them to make the object look real. When a light source (the sun in the open, a light indoors) falls at an area on a circular shaped object (which is uniformly colored), that area looks the lightest valued, the area surrounding it progressively increases in value and the opposite side of the object which does not receive the light directly and which falls in shade is the darkest valued. To paint such a circular object, let us first assume that the light is falling on the object from the front a little towards the right. Thus that area has the highlight, while the farthest left portion is the darkest value. Draw a circle and wet the circle evenly with clear water. Mix a watery solution (that is, light valued) of any colour. Carefully stroke it on the circle, making sure that you leave a white highlight at the area where the light is supposed to strike. 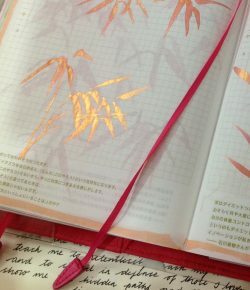 Since the the paper is wet, you will have a soft edge around the highlight. See fig 2. Let this dry completely. Wet the circle again. Wait for a sec or two till the water is absorbed a little. Now take a stronger solution of the same color and drop it carefully onto the edges and a little towards the middle of the circle. The color will spread because the paper is wet, so take this into consideration. Donot let the color completely cover the first wash. This is your second value (fig 3). Let this dry completely. Now wet the circle again using a gently stroke, donot use too much water. Mix a stronger solution of your color but this time, add a little of its complimentary color to darken it. Drop this at the extreme left taking care not to cover the previous washes (fig 4). All these washes are called glazes because each wash has been applied after the previous one has completely dried. If you find that the area under shade is not dark enough, you can add another glaze. The more values you are able to reveal in a soft gradation, the more realistic will the object look. My sis takes photos of flowers for me whenever she can, and asks me sweetly if I can use them for my paintings, so I have decided to use hers for this demo. Take a good look at the photo and pick out the colors on the petals. 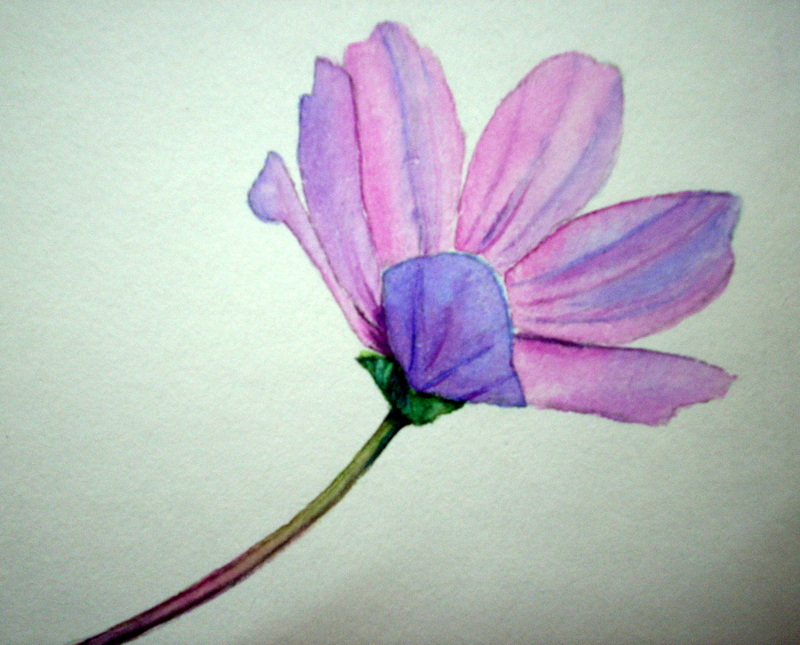 They are mostly pinks and bluish violets for the shaded areas. The sun is casting its light from the upper right hand side. 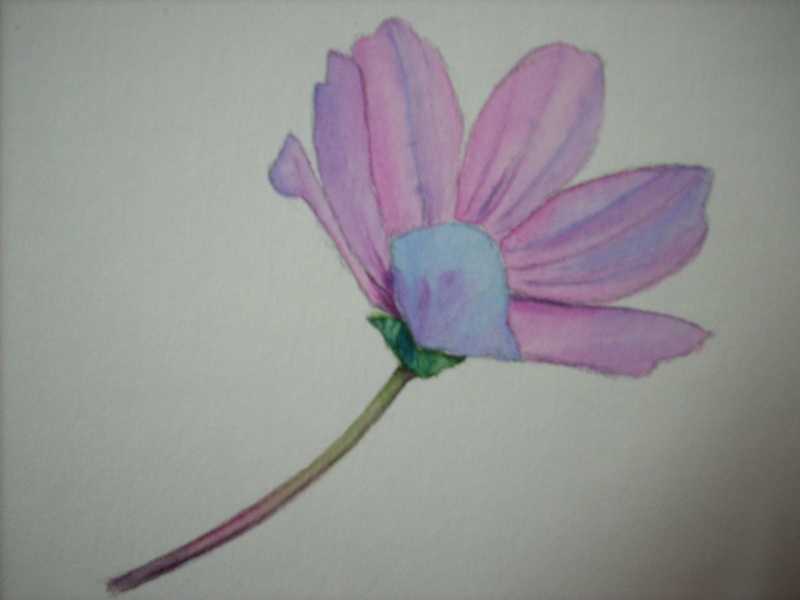 Wet each petal at a time and drop in weak washes of brilliant purple and pthalo blue (Schminke) or the equivalents in your pallette. 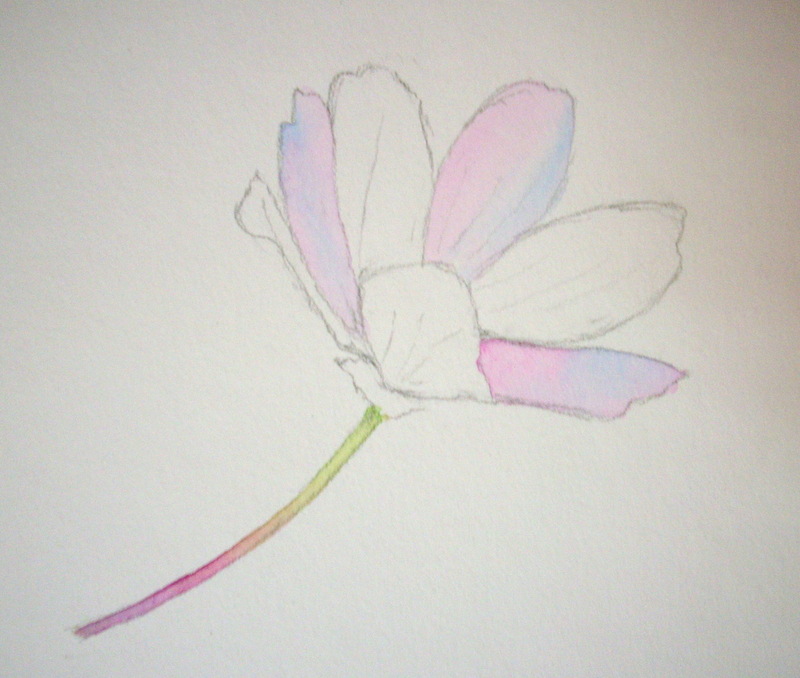 Paint alternate petals because if you wet an area next to a damp petal you will get a back run. The stem looks really lovely with muted pinks and violets at the bottom and yellows and green near the base of the flower. 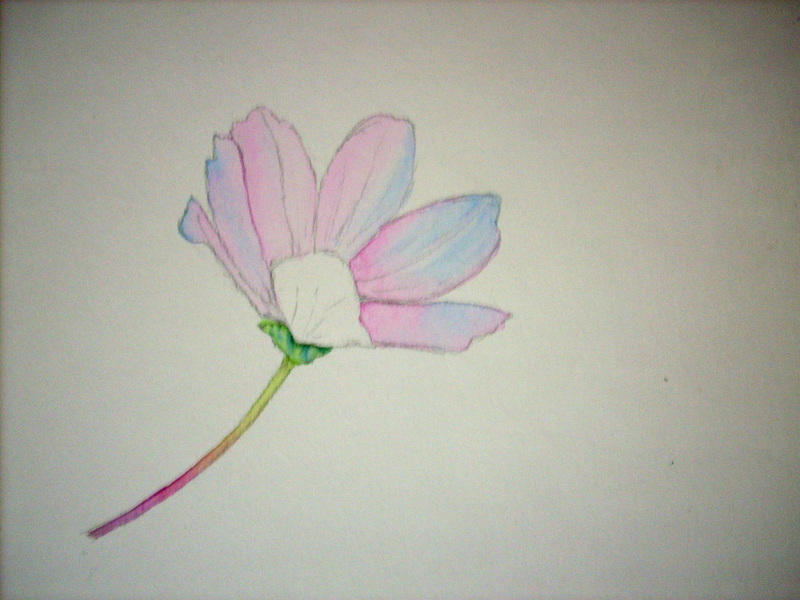 With a small round brush wet the entire stem and drop in colors accordingly. Let them blend gently and don’t worry about getting it exactly right. The water creates beautiful effects if we learn to leave it alone at the right time. Let these glazes dry completely. You can use a hair dryer for this but don’t fan it too close to the paper. 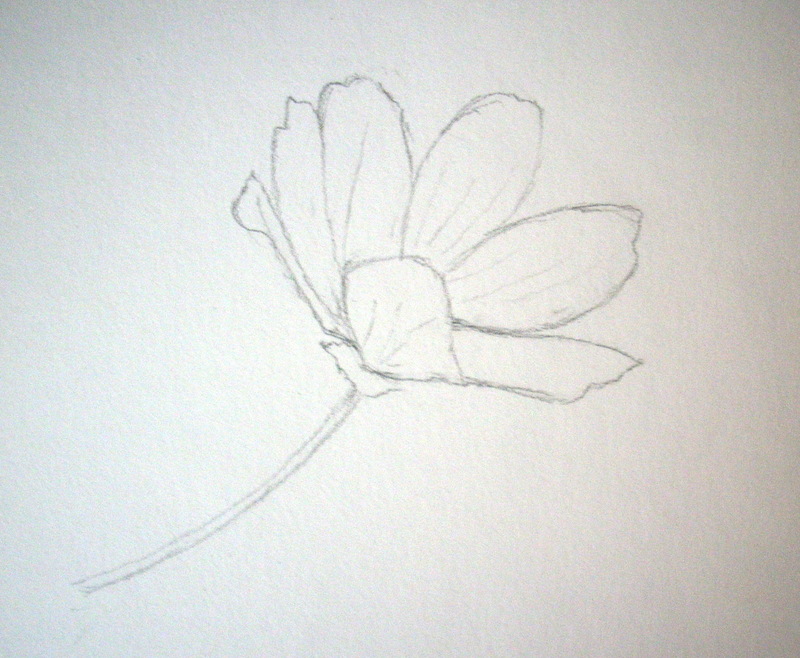 Now repeat the above step for the alternate petals and the one in front. This one is more bluish and it helps to put in a wash of pale blue in the beginning itself. Wet the small area at the base of the flower and drop a weak wash of sap green. Before the sheen goes away, drop in a slightly stronger mix of sap green and pthalo blue in the darker areas. Let dry. 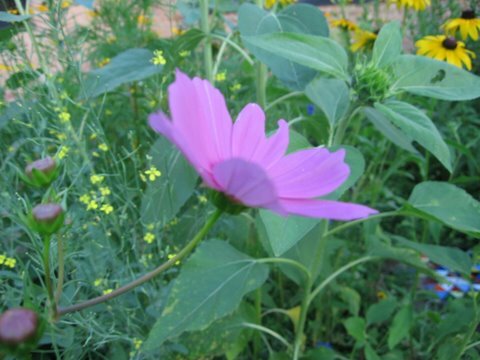 Wet the petals one area at a time (not adjacent ones) and drop in stronger mixes of the same color. Look to the photograph and not at the painting. While the petal is still damp, take a zero sized brush loaded with the vein color and stroke it in following the curve of the petal. Glaze the stem with a weak mixture of sap green. Once this is dry, wet the stem and wait till the sheen is just about to go. With a zero sized brush pick up a strong mix of sap green, pthalo blue and brilliant violet and stroke it along the right hand edge of the stem and under the sepal which is casting a slight shadow on the stem. Also observe that there is a cast shadow on the first petal from the right thrown by the petal above it. But this shadow is pink in color and not greyish. After the last step has dried, you can add stronger glazes again….. 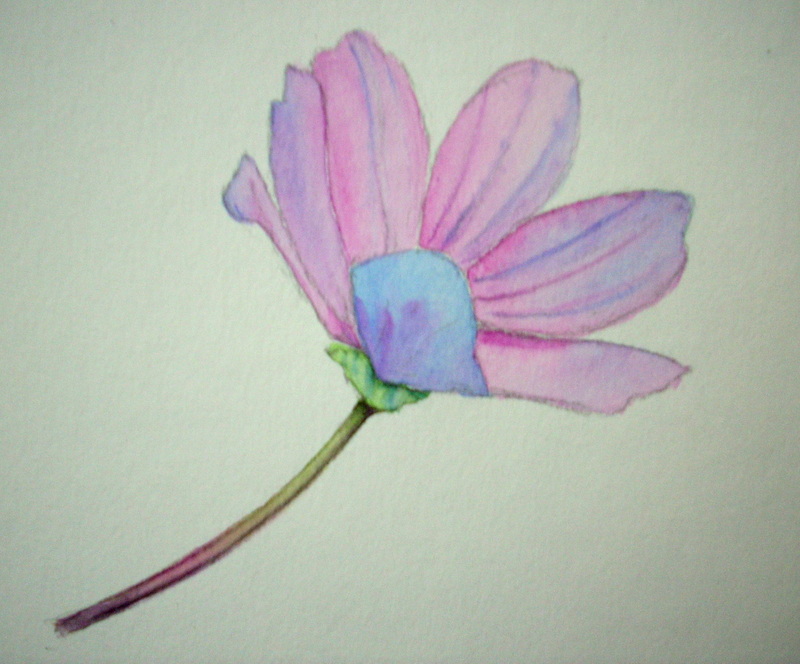 If you want to add a background, wet the entire area around the flower. Drop in the same colors that you used for the foreground, in order to unite the picture. Use some of the shapes that you see in the photograph. Add a few stronger coloured shapes towards the bottom to ‘ground’ the picture. 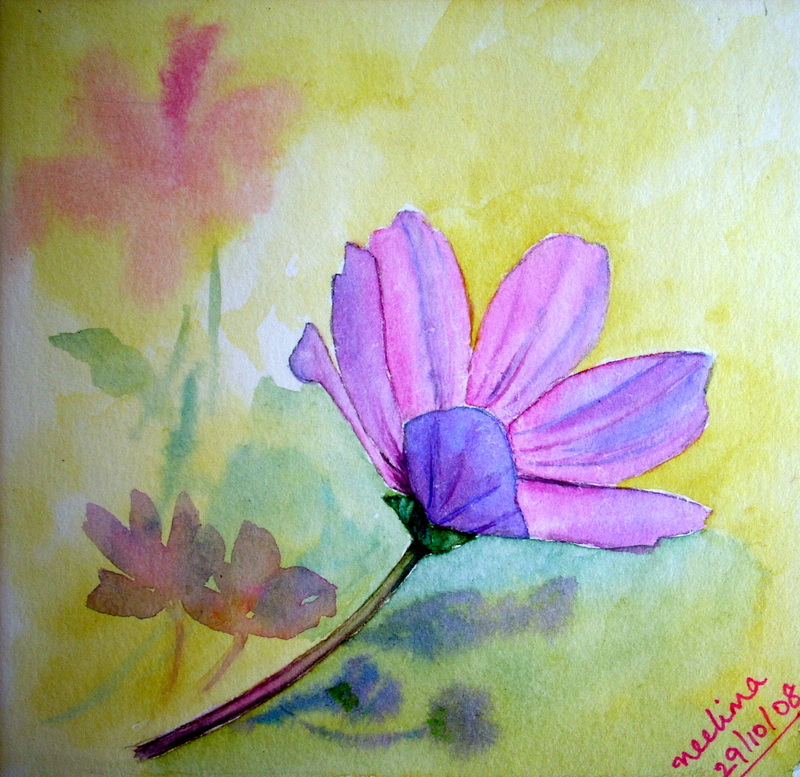 You can see that the cosmos which looked bright and delicate against the white of the paper, now looks a little dull against the bright colors in the background. For your painting, try dropping in some muted colors in the background, instead of the brights that I have used.